Tate – an executive non-departmental public body sponsored by the Department for Digital, Culture, Media and Sport (DCMS) and an exempt charity defined by Schedule 3 to the Charities Act 2011. Tate has full charitable status in the UK. Tate Enterprises Ltd – a wholly owned trading company of Tate registered in England and Wales under number 3173975 whose registered office is at Millbank, London SW1P 4RG. VAT Reg. No: 674 9453 88. Tate Foundation – an independent charity (registered Charity number 1085314). 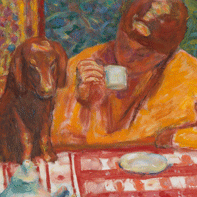 Tate Foundation’s activities and charitable primary object is to support Tate’s charitable purposes. Tate Foundation – membership patronages. Donations on patronages are collected by Tate Foundation. 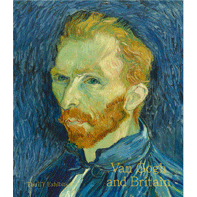 Tate – exhibition tickets and all other memberships (other than patronages). Donations on tickets and memberships are collected by Tate. Tate Enterprises Ltd – all other items detailed on Tate Online Shop web platform and not referred to above are sold by Tate Enterprises Ltd.
More information about Tate’s governance and how it operates. The following terms and conditions listed below will apply between you and the relevant Tate entity as described above for the sale and purchase of the items contained in your basket. The terms do not affect your statutory rights. The failure of or delay by Tate to exercise or enforce any right in these terms does not constitute a waiver of such rights. Tate reserves the right to amend these terms and conditions in its absolute discretion at any time upon reasonable notice to you. These terms and conditions shall be governed by and interpreted in accordance with English law and in the event of any dispute arising out of these terms and conditions and/or your membership, you agree with Tate to submit to the exclusive jurisdiction of the English courts. 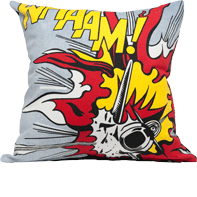 Promotion codes entitle you, at the time of ordering, to a saving on a new order placed with Tate Online Shop. Details of any minimum or percentage discount, including VAT and saving entitlement, will be issued with your code. Promotion codes are only valid for orders placed online. Tate Online Shop reserves the right to decline to accept orders where, in its opinion, a promotion code is invalid for the order being placed. Promotion codes are not valid in conjunction with any other promotion, on sale items or other discounted items. In the event of part of the order being returned, the value of the discount applied on that order will be spread between the goods proportionately. The sum in cash exceeding this value, less any shipping costs charged on the original order, will be returned to the customer. The promotional discount will not be applied to replacement items -if the offer is still valid at the time of making a return, you should place a new order using the original promotional code. In the event of any returns resulting in the order no longer qualifying for the promotion advertised, Tate Online Shop reserves the right to deduct the value of the offer from the refund. Tate Online Shop reserves the right to terminate any promotion code at any time. Gift certificates are not redeemable for cash, and are non-transferable, valid for one year from the date of issue and only redeemable at Tate Online Shop. Gift certificates can only be used online at Tate Online Shop and not in store at Tate's physical shops. These are not part of Tate's physical shop voucher scheme, which is run separately through shops at Tate galleries. Your balance can be viewed at any time on our gift certificate page. If the order exceeds the amount of the gift certificate, the balance must be paid by an alternative method. Normal Tate Online Shop terms and conditions apply to all purchases except where they conflict with these terms and conditions. If you cancel an order for any item you have purchased by redeeming your gift certificate, we will issue you a new gift certificate for that amount. If you redeemed your gift certificate in part payment of any item, you have the right to request a cash refund in respect of the amount you paid using your credit/debit card. Tate Online Shop will have the right to close customer accounts and request alternative forms of payment if a fraudulently obtained gift certificate is either redeemed through the Tate Online Shop website or is redeemed and used to make purchases on the Tate Online Shop. We use a pool of trusted couriers and delivery companies to fulfil delivery of shop products and membership packs. Please read their T&Cs if you would like to know more about the services they provide. Tickets are valid for the date and time stated. Please check your tickets carefully when you receive them as we may not always be able to rectify mistakes. Tickets are for personal use and may not be resold or exchanged. Unfortunately we do not offer refunds on tickets. There is no re-admission to the event or exhibition once you have left. Tate reserves the right to refuse admission or terminate a visit. By attending an event or exhibition, ticket holders consent to being photographed or filmed incidentally and to Tate’s publication or broadcast of any such photographs or film. Thank you for joining Tate’s Membership Scheme. This webpage sets out the terms and conditions of your membership. You should read it carefully as it sets out your rights and obligations as a member of the Scheme (“Membership”). These terms and conditions of membership should also be read in conjunction with the terms and conditions of use for the Tate website. Please note that acceptance of your membership application and receipt of your Membership fee by Tate creates a valid and legally binding contract between you and Tate, which is governed by these terms and conditions. (A) Tate is an exempt charity and incorporated under the Museums & Galleries Act 1992.
promote the public enjoyment and understanding of British art, and of twentieth-century and contemporary art. 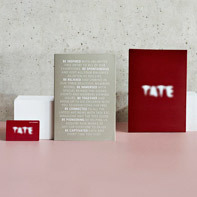 Member means you and/or any other member of the Tate Membership Scheme (depending on the context in which it is used). Please note that these terms and conditions apply to all members. Membership Card means the card or cards provided to you by Tate confirming that you are a member. Membership Fee means the money you have paid to Tate to become a member. Membership Period means the date from which Tate receives your Membership Fee to the date on which your Membership expires. This will usually be 12 months from the date that we receive your Membership Fee. The term of your Membership Period is set out on your Membership Card. Tate Commerce means Tate Enterprises Limited, which is Tate’s trading division and is a private company registered in England & Wales (company registration number 3173975). Tate Foundation means Tate Foundation, a charity established to raise funds for Tate. It is a charity and company limited by guarantee registered in England & Wales (company registration number 4009652 and charity registration number 1085314). Tate Group means the group of companies and organisations affiliated with, owned or controlled by Tate, and includes Tate itself along with Tate Enterprises Limited and Tate Foundation. 2.1.6 when you respond to Tate emails. 2.2 All information that you provide to Tate will be processed and held in accordance with the EU General Data Protection Regulation (GDPR) and all other applicable UK and EU law. 2.3 You agree that personal details provided to Tate may be used for administrative purposes to fulfil your membership rights and provide membership services to you. In some cases we work with external suppliers to provide certain services. All data is transferred securely and all external suppliers have signed data processing and confidentiality agreements with Tate. 2.4 As part of your membership, Tate may also send you information about any organisation within the Tate Group where we feel these would be of interest to you. We may contact you by post, telephone and/or email. 2.5 You are responsible for informing us of changes to your personal details. Please do not share your individual passwords for access to our on-line services with anyone else. 2.6 Tate does not collect or process sensitive personal data such as race, ethnic origin, physical or mental health, political or philosophical views or sexual orientation. 2.7 Subject to clause 2.3 Tate will never sell, rent or exchange your details with any other organisation outside of the Tate Group. 3.1 All Members will pay an annual Membership fee. Tate reserves the right in its absolute discretion to change the Membership fee each year. 3.2 Your Membership is valid immediately from the day that your Membership fee is received by Tate in cleared funds and will usually be valid for 12 months unless, for example you have purchased a longer Membership Period. If you do not renew your Membership it will expire automatically at the end of the Membership Period unless it is renewed in accordance with clauses 3.4 or 3.5 below. 3.3 Upon expiry of your Membership you will no longer be a Member and you will no longer be entitled to receive any Membership benefits. 3.4 Renewal by Direct Debit: When each Membership Period comes to an end, Tate will send you a renewal reminder. If you do not wish to renew your Membership you must inform Tate at the earliest opportunity and preferably at least 10 days before the end of your Membership Period. 3.5 Renewal by cash, cheque, and credit/debit card: When each Membership Period comes to an end, Tate will send you a renewal reminder, and your Membership will be cancelled unless and until a further Membership Fee payment is received from you. 3.6 In order to comply with HMRC guidelines. Tate is not able to accept CAF cheques as payment for membership. 3.7 Tate reserves the right in its sole discretion to terminate your Membership if in its reasonable opinion you behave in a way which is considered to be harassing, causing distress or inconvenience to other members, any visitor to Tate, any member of Tate staff or any directors, trustees, patrons, donors or other supporters of the Tate Group or you breach any of these terms and conditions. 3.8 Subject to any statutory right to cancel, your Membership Fee is non-refundable once payment has been received by Tate. 3.9 Membership rights are not transferrable. 3.10 Membership rights shall cease on a Member’s death or an individual ceasing to be a Member. 4.1.2 Unlimited access to special exhibitions and Members Rooms within public opening hours and in line with last admission times. 4.1.3 Tate Etc magazine 3 times per membership year. 4.1.4 What’s on Tate Guide 6 times per membership year. 4.1.5 You are also permitted to bring as many guests as your Membership type allows and up to 6 children aged 16 or under. Please note that some exhibitions may not be suitable for children under the age of 16. 4.2.1 Member - admits yourself. 4.2.2 Member plus Guest – admits you plus one guest. 4.2.3 Member plus Guest plus Extra Card - admits you and up to 3 guests. 4.3 With the exception of the associate Members card for Extra Card, St Ives/Liverpool Extra card Membership cards are non-transferrable. 5.1 Unless stated otherwise, copyright and all other rights in all publications and materials supplied to you by Tate are owned by Tate. Members may not reproduce, transmit, distribute, sell or commercially exploit these materials without the prior written consent of Tate or to the extent expressly permitted by law. 6.1 Subject to clause 6.3, and to the extent possible by law, Tate excludes all liability to members or to any other third party for any loss of profit, or any special, incidental or consequential damages (however arising, including negligence) arising out of, or in connection with services, benefits and/or products supplied by Tate or any member of the Tate Group. 6.2 Subject to clause 6.3, the liability of Tate to you is limited to the amount of your annual membership fee. 6.3 Nothing in these terms and conditions excludes liability for death or personal injury caused by Tate’s negligence or for fraud or fraudulent misrepresentation. 7.1 Tate is a ‘Public Authority’ for the purposes of FOIA. Subject to certain exemptions, Tate may be required to release information to a third party upon request which may relate to the Membership Scheme. 7.2 Tate shall not be liable for any loss or damage that any member may suffer as a result of Tate’s disclosure of information under FOIA. 7.3 The obligations contained in this clause 7 shall remain in force notwithstanding the termination of this Agreement for any reason whatsoever. Goods will be sent to the address given by you in your order and stated in your order confirmation. Please note that occasionally goods ordered may be sent to you in instalments. We will make every effort to advise you (by email) if this is the case. If your delivery address is not within the United Kingdom, you may be subject to import duties and taxes, which are levied once a shipment reaches your country. Any such additional charges for customs clearance must be borne by you. You should note that customs policies vary widely from country to country; Tate Online advises each customer to contact their local customs office for further information. When you have completed your order you will be sent an email confirmation. It will state what products you have ordered, the total cost including VAT (where appropriate) and postage & packaging charges, together with delivery and invoice details. If for any reason your order cannot be processed, a member of the customer services team will contact you to explain the nature of the difficulty. No contract for the sale of any product will subsist between you and Tate Online Shop until the product(s) ordered have been dispatched. We will send a confirmation email when the goods have left our warehouse. This confirmation email amounts to an acceptance by Tate Online Shop of your offer to buy goods. Where an order is to be fulfilled in instalments, those products yet to be dispatched will not form part of our contract with you. You must check that the details on this confirmation email are correct as soon as possible. Your statutory rights as a consumer are not affected if, for any reason, you wish to return a product bought from Tate Online Shop. Please see more information about our returns policy. Tate Online Shop shall have no liability to you for any failure to deliver goods you have ordered or any delay in doing so or for any damage or defect to goods delivered that is caused by any event or circumstance beyond its reasonable control. Although we take every care to ensure accuracy, we make no warranties as to the accuracy of the information we place on our web pages. The extent of our liability for any breach of these terms and conditions shall be limited to the value of the goods ordered by you in the relevant transaction, however nothing in these terms and conditions shall exclude or limit Tate Online Shop’s liability for death or personal injury as a result of Tate Online Shop’s negligence. These Terms shall be governed by and construed in accordance with English Law and you agree with Tate to submit to the exclusive jurisdiction of the English courts. Where appropriate, care guidelines are clearly stated on each product page and these should be followed to ensure the maximum lifecycle for that item. If you are unsure about the appropriate care for your item, please contact customer services via email at shop.online@tate.org.uk or call: +(44)20 7887 8888 (Monday – Friday, 9.45–18.00).